Click here for same images with galaxies identified. 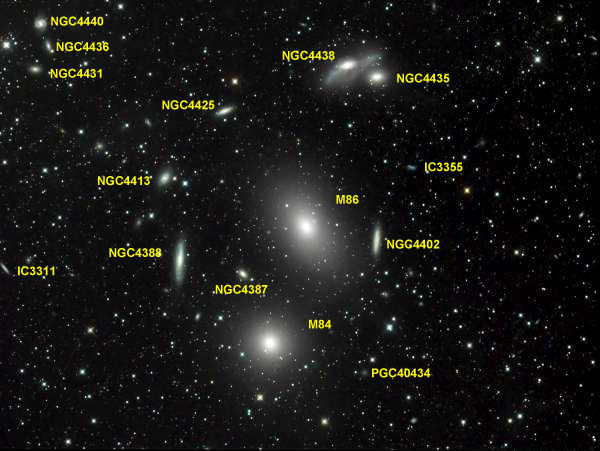 Image details: This image shows central region of the Virgo Galaxy Cluster. 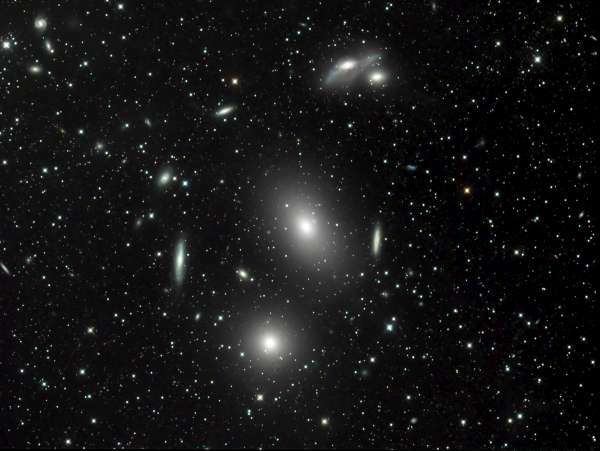 The Virgo Galaxy Cluster is a huge clust of galaxies approximately 56 million light years from Earth. The two dominant galaxies in this image are M86 (centre) and M84 (below M86). These two galaxies are giant elliptical galaxies 20 times larger than average galaxies.